Breathe Easy – An OSGR Foray into Independent Film. Recently on Twitter there has been a buzz around an international collaborated independent film called “Breathe Easy”. Independent film I hear you say isn’t that a little bohemian from the normal stuff OSGR watches. Well since the OSG’s revelation of Twitter, Independent film has peaked interest. OSGR has been known to contribute to ones that catch the eye (and will continue to look for these little gems). Sorry digressing. 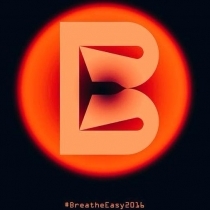 On Friday night an unexpected message appeared from Paul Mackie a producer on ‘Breathe Easy’. An honour was bestowed upon this little website, in a request for a review of this movie. Of course this was accepted and the foray into OSGRs first independent film review was commenced. So the film was downloaded, coffee made, headphones worn and anticipation was heightened. The 2hrs was marked out on the Saturday ready for laptop immersion into the first OSGR independent film experience. The ‘Breathe Easy’ film premise is from the Sci-fi genre (excellent just up this authors street). An apocalyptic event has engulfed the Earth and mayhem and disaster ensue. That’s all you get from the plot as OSGR urge you to see this film at any festival it’s playing at in 2017. Why? Well for a start it is full of burgeoning talent both on the screen and off. There were 3 stand-out performances for this OSG. Firstly, the South African team and actors Calvin Grandling & Megan Alexander, who were both natural actors and delivered a believable performance, which really endeared. Second on the list was Chantelle Readman, her natural talent really shone out in her part as a member of the coven, handling the part with an ease and simplicity that gave a genuine performance (flower (wink)). Lastly and by no means least was Satyendra Pandey whose portrayal of a man on the edge of fear was both heartfelt and terrifying – you really felt like you were there with him. That’s not to say that the rest of the cast did not shine, in fact there are many standout performances. Like Neil May’s Prime Minister, reminiscent of Dr Who’s Peter Capaldi on acid (ha ha), also watch out for Grant Murphy who has a striking resemblance to Jason Statham, both of these actors give a great comical hammed up performance that winks at the disaster movies of the 70s & 80s –loved it. Before moving on lets just put this film into perspective. It’s not a Hollywood Blockbuster and many of the actors are sharpening skills and honing talent in their performances. The film does not have a Disney budget so don’t expect Disney FX, it relies on the imagination and attention of the viewer to create the experience. The film is clunky at times, has some lip sync issues (or that could be the downloaded copy) and is reliant on different camera techniques to portray mood and context. Some of it really works, some of it doesn’t, but the latter is the minority of the film. The use of different filming techniques, camera and editing gives the film a charm and sense of authenticity (watch for the stunning view of Stuttgart). Yes the dialogue fades in part, yes some shots jerk and yes there are a few continuity issues, however, this film is the better for these foibles. There was one tiny criticism that did detract from the enjoyment at times and that was the music. Whilst rock is a particular OSGR favourite, it did feel an unnecessary enhancement to certain scenes or dialogue at times, which would of probably been better replaced with background sounds (like in the LA scene). The use of the music did detract the viewer from the dialogue and made them work hard to stay immersed in the scene. Saying that ‘Like a Rattlesnake’ at the end completely fitted and was superb. Another observation is that the interplay between the different stories can appear disjointed and unconnected. However, lets contextualise and examine this. The screenplay takes time to embed. The first 30 minutes had a feeling of where does this go. Is this a criticism, no, it’s an observation as a viewer. This ‘lead’ into the story is necessary for the identification and realisation that the films journey is built in a way for the watcher to ‘eureka’ the moment when they understand the film. The viewer realises three things as they go deeper into the film. Each part appears separate, like watching 20 different stories. 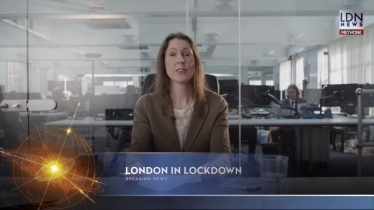 They are not; each story gives a different view of different parts of the world as they descend into post apocalyptic madness, this gives the first realisation ‘everyone in the film is affected by madness caused by the central event, i.e. they are all mad’. The second thing you notice is, each countries story represented has its own individual values challenged. Whether it’s the removal of neighbourhood and social standing in Mexico, fragmentation of a trusting society in Germany or the rise of Neo-Nazi anarchists in the UK. All segments attempt to show the characters struggle as their countries valued cultural aspects degenerate into disorder (ping). Lastly, is that before the Eureka moment, the viewer may think what happened to … (insert character). Lets just say that once the watcher realises that they don’t appear again, this is part of the ahhh eureka moment. It’s the point of the film – “in a post Earth altering event there are no conclusions to the story, not many happy endings and each segments end is just that a conclusion to that part of the story”. Yes this sounds a little confusing but when you see the film, you get it. So this first foray into independent film is now complete. The films strength’s are its subtleties of how cultures handle infrastructure breakdown and inner dialogues of social absurdity. Whether it’s the Bocham crass world of web streaming – watching someone complete mundane chores on a web cam for pleasure, the obscure world of the UK ‘millennial’ boozy social lives or the Bulgarian value of family life, this film uses them with subtly, humour and with effect. These are hopefully the films intentions and if the screenplay has been evaluated correctly, it’s why this OSG enjoyed the film so much. Was this first foray of value, hell yes! Was this 2hrs well spent – absolutely! If this is a precursor to what independent film has to offer then excitement fills the air. This is a new OSGR endeavour and one that this film has cemented. Don’t expect to get this film in its first hour, let its story wash over you and immerse you. If you get the Eureka moment, then the realisation will flood over you. OSGR recommend this film for those that allow the experience of a film to swallow them and have the ability to allow the imagination to fulfil the story. A remarkable film with flashes of subtle genius that delight when experienced. Remember ‘Breathe Easy’ and learn why birds fly upside down over Sunderland (wink). Geek Out. Breathe Easy is a fantastic example of international film-makers coming together, collaborating on an epic scale to make something fun for a wide range of audiences. It’s a huge blend of styles and atmospheres but they all successfully merge together to form one multifaceted story. In short, this film is an astonishing and outstanding achievement that everyone should see. It’s a simple straight forward indie film. But the story is something else…in a very good way. This film will have you laughing, wondering what the hell is going on. The pay off is priceless. Audiences seeking something a little more down to earth, especially in the indie film market, may appreciate the form a touch more. Perhaps, however, this only works when you have a dystopian storyline spanning multiple countries, with multiple narratives, where it is not only acceptable but believable to have such vastly contrasting films, like a collage of every type of humanity coming together globally. Thank you for your awesome review of the film and for the extra love for the S.A. mention. It's much appreciated!